For your solo trip next year! Oh, Korea. It has everything any tourist would want to visit with its historical places, modern attractions, and culture. As much fun as it is to travel to the Land of the Morning Calm with a crowd, it is also the perfect place to jet to alone! It's safe, and easy to see with its convenient public transportation. The best part? The surprisingly friendly locals! Admire K-beauties' stylish OOTDs at Ewha Women’s University. Korea is known for its fast growing beauty industry, but one walk around the streets of Seoul will reveal the locals' love for fashion. Be sartorially-inspired at Ewha Women's University, the largest female educational institute and one of the most prestigious schools in South Korea. Though it mostly attracts visitors for its beautiful campus and impressive buildings, it is also the perfect place to people-watch because of the stylish students. Ewha is also famous as an affordable shopping haven for the budget-conscious traveler since the goods here are made to fit a typical college student's budget. Head to the left alley just outside the campus entrance for affordable finds. Feel like a local at Hongdae Free Market. Hongdae is another popular hotspot for its vibrant young crowd and budget-friendly shopping. 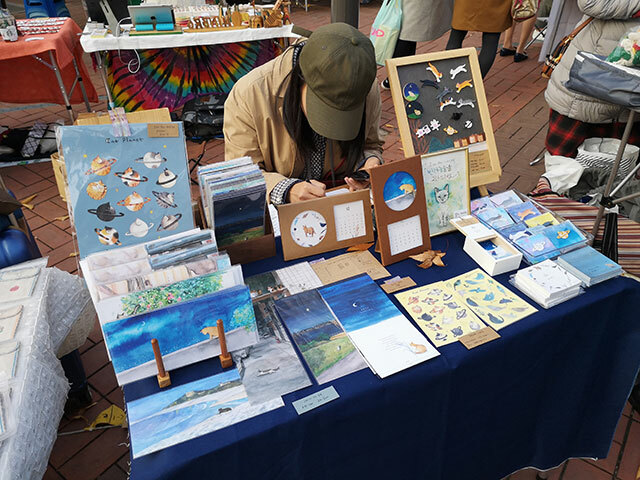 If you want to marvel at art, however, head to Hongik Playground's Free Market to check out the homemade crafts of small-time merchants. You can find stationaries, paper crafts, and jewelry here. Slow down for a few minutes to have your portrait done by a freelance artist. Check out the schedule of free performances and relax on one of the park benches. The park is a less crowded (and stressful) option to the free entertainment you can find in Hongdae's main streets. 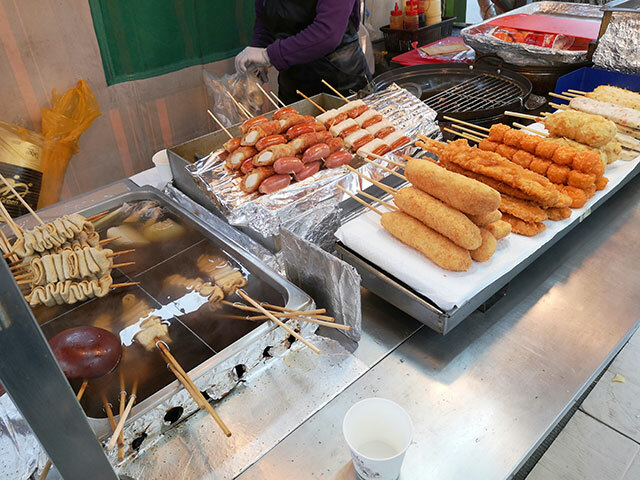 Binge on street food in Myeongdong. Myeongdong is the place to go if you want to hoard beauty products for people back home, but it is also a must-visit if you're craving authentic Korean street food. Stalls open at around 3:00 p.m. and run until the late hours of the night. There, you'll find anything you're craving, from sausages to cheesy grilled lobsters. If you're looking to exchange money, Myeongdong is also the best place to go to because of its reasonable rates. Unleash your inner fangirl on Hallyu road! What's a visit to SoKor without dropping by your favorite K-drama/K-pop locations? Incomplete, is what it is! A walk along the Hallyu road in Apgujeong, Gangnam is a definite must! Take a photo in one of the "Gangnam dolls" representing the biggest names in the K-pop industry and fangirl to your heart's content. Have a cup of coffee at Cheonggyecheon stream. 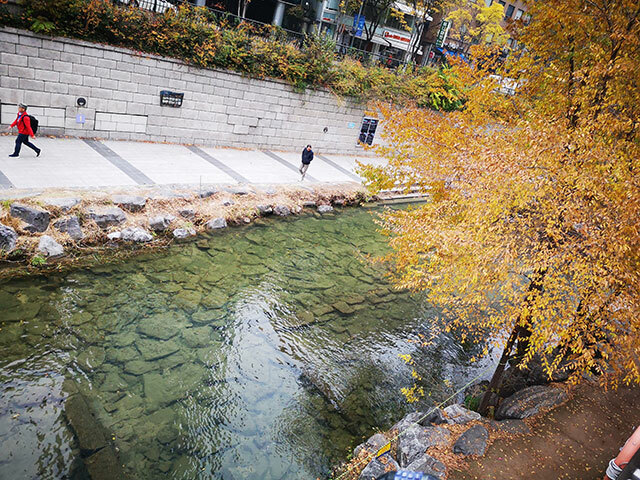 This rehabilitated stream may be more popular to the elderly than to most millennials, but it's the perfect place to hang out in after a long day of touring the busier parts of Seoul. Restored in 2005, the once-neglected waterway is now a haven of natural beauty located in the middle of the city. There, you'll be treated to quiet walkways and colorful installations. Grab a steaming hot of coffee and wind down while listening to the peaceful running water in the background. Take a blast from the past and try on a hanbok! 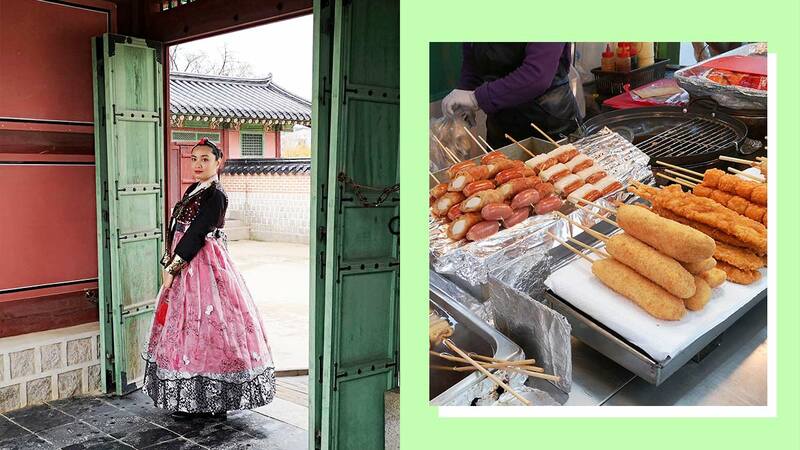 It may seem too touristy to do, but trying on a hanbok can really make your solo trip more surreal. Visit the great palaces of Korea (Gyeongbokgung and Chandeokgung are recommended) and be transported into the ancient times by renting out a hanbok while you're there. Believe us when we say you'll never feel out of place since it is common for tourists (even locals) to don the outfit around these destinations. Gyeongbokgung Palace is framed by a lot of rental hanbok shops so make sure to check out one before starting your tour. Entrance to the palaces is free if you're wearing one! Marvel at Namsan's street art. 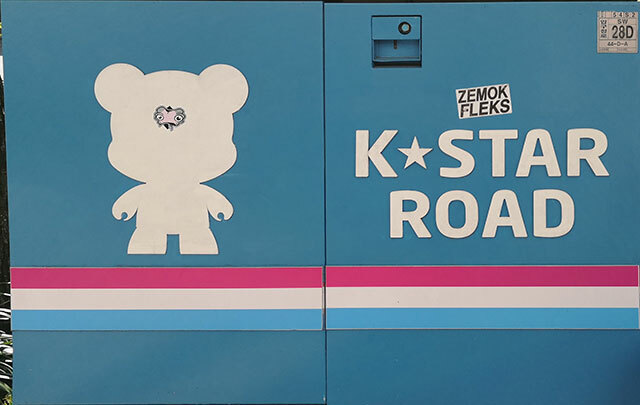 Just across the Myeongdong K-beauty street, the area of Namsan is less busy with its walls embellished with street art and installations of popular characters. Looking for an affordable place to stay during your vacation? Namsan also has some of the best guesthouse options because of its location. 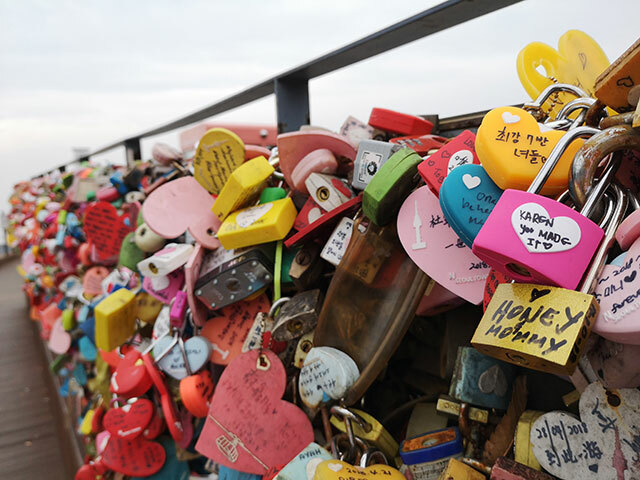 N Seoul Tower's love locks bridge is one of the most iconic tourist spots in Korea. Similar to the Pont Neuf bridge in Paris, lovebirds visit the place to put their padlock on one of the railings and wish for good luck in their relationship. BUT, you don't really need to be with anyone to partake in the tradition. Whether you're happily single or trying to move on (LOL), make a statement by putting your own lock there. We're all for self-love, after all.